The world is changing, and we owe most of this change to the Internet. Ideas are being spread at lightning speed, and people have faster and more immediate access to perspectives and information than ever before. In the age of the Internet, it’s also become more and more difficult to defend a lie, unless it happens to be a lie with which you’re most comfortable. In other words, the web is a place where you can either hunt down the truth or bury your head in the sand. This is one of the reasons that our nation hasn’t been this divided since the Civil War. One lie that was well-protected for many decades is the idea of Minister Louis Farrakhan as an anti-semitic extremist. Some have even used terms like “reverse racist”, which are designed to alleviate America of the guilt of what’s been done to Black people for the last 400 years. 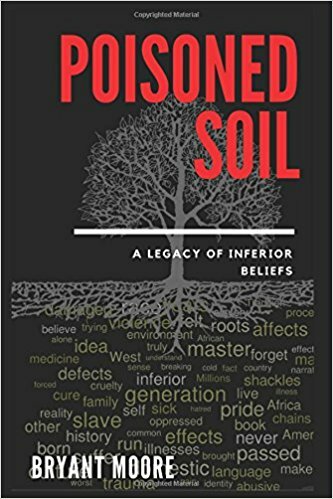 The release of important books like “The New Jim Crow” by Michelle Alexander and “Black Labor, White Wealth” by Dr. Claud Anderson, have unveiled the depth of abuse that Black people have endured since slavery, and how these transgressions impact our society today. One of the few leaders capable of connecting the struggles of our community with the trauma of the past is Minister Farrakhan. Farrakhan is one of the few members of the Black community who is respected by both his friends and enemies. He’s served well as a thinker, builder, orator, spiritual guide, mentor, father-figure and spokesperson for a community that has had to redefine its leadership over the last five years. When rappers refuse to speak to one another, they respond to Farrakhan’s call for reconciliation. When the people of Baltimore and Ferguson refused to talk to most old school civil rights leaders, they still paid close attention to the words of Farrakhan. 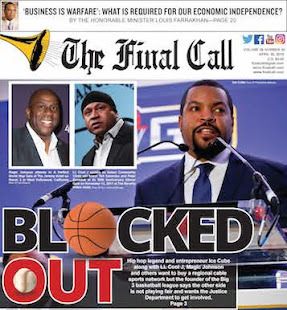 When Farrakhan has appeared on media outlets such as The Breakfast Club, the largest urban radio show in the country, the world stood still to hear what he had to say. When Farrakhan asked a million Black men to come to Washington, they came in droves and did it again 10 and 20 years later. The Minister can go into the darkest and most dangerous parts of any city in America and be fully protected by men of all age groups and socioeconomic backgrounds. No politician, advocate or police officer in the world can say the same thing. The reason Farrakhan is respected, especially by Black men, is that he gives us love in a society that is designed to hate, emasculate, criminalize and destroy us. For many of us, he’s all we’ve got. In some ways, Minister Farrakhan might be considered the president of the Black community. Of course, not everyone loves the Minister, and he has made a few mistakes over his 60 years of service. But even his harshest critics have a tough time thinking of anything the Minister has done in the last 30 years that has been anything short of productive and uplifting for Black people. If a critic is asked to quote any hateful remark Farrakhan has made over the last 30 years, they are left grasping for whatever they can, like a desperate drug addict trying to find money for crack. They are addicted to hating Farrakhan, even if there is little reason to do so, even if they’ve never heard him speak for more than 30 seconds. Brainwashing is difficult to overcome and it might be more painful to acknowledge the truth than it is to keep taking his words out of context. Farrakhan’s greatest strength is his authenticity. He and the Nation of Islam have shown a type of unconditional love for Black people that even the Black community itself cannot comprehend. They stand by us when we are at our worst, and have been arguably the most consistent and self-determined institution in our community. 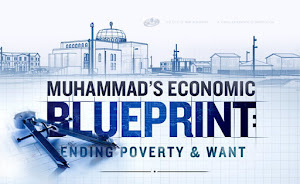 The Nation of Islam shows us that Black people can prosper with dignity, and without begging others to save us. The capacity of members of the Nation to forgive and accept us for who we are is an extraordinary breath of fresh air in a world where we are taught to hate everything about our dark skin and ambiguous culture. 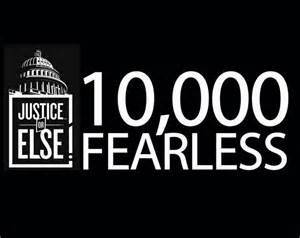 Farrakhan and his organization make us PROUD. 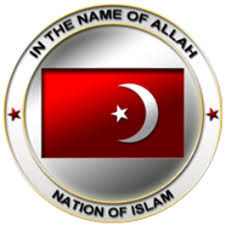 When the police, government and educational systems have abandoned us, the Nation of Islam was always there. When we’ve needed an economic program, they’ve worked to put one together. When our role models were being shipped away to American slave camps (aka prisons), the men of the Nation of Islam were the cleanest, sharpest, most articulate and polite men in the entire neighborhood. It is because Farrakhan and the Nation of Islam are so beloved and respected that many of us have a difficult time understanding why mainstream media has worked so hard to paint the Minister in ways that are not in the least bit accurate. The fact that a man can be so loved by Black people and hated by Whites is yet another reminder of just how deep the racial divide remains in America. The use of propaganda to defame one of the most respected men in the African American community wins absolutely no friends for the Anti-Defamation League. Their insistence that Farrakhan is not even worthy of a meeting is insulting and hurtful to the African American community and indicative of disrespect for the Black community as a whole. It is also reflective of a fear that revealing the truth through a direct meeting with the Minister would undermine many decades of propaganda that have been used to paint him as some kind of deranged and violent bigot. The same was done to the Black Panthers. The same was done to Malcolm X. The same was done to Marcus Garvey. How can you judge a man so harshly when you refuse to even hear him speak? What are you afraid of? This century is the first time in American or world history that Black people have been able to communicate with one another without going through media filters controlled by somebody else. We aren’t learning about Minister Farrakhan through CBS News or reading about him in the New York Times. We are hearing from him directly on the Internet, which means that his 20-plus year blackball from mainstream media outlets has come to an end. My own meetings with the Minister included a three-hour conversation in which he and I sat knee-to-knee in his office, discussing every topic under the sun, from the state of the educational system to issues in American politics. The entire time, I felt like I was speaking to my own grandfather, and it was a relief to hear from a senior Black man who didn’t live his life in fear, but at the same time, was able to possess enough love in his heart to forgive his enemies. 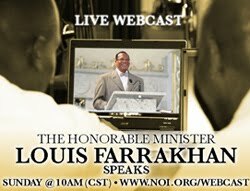 Farrakhan is certainly NOT the hate-filled caricature that has been created in mainstream media. Such a fictional portrayal of one of Black America’s most respected leaders is not only one that is easily disproven by the Minister’s own YouTube channel, but it’s one that causes all of us to question the credibility of those who seek to feed such a lie to the American public. The ADL and other groups must realize that stubbornly refusing to meet with Minister Farrakhan does not reduce the impact of his legacy. It only speaks to the kind of arrogance that White supremacy creates in a world where Black people are perceived to be second-class citizens. The Minister is strong, even if you want to pretend that he does not exist. He is the elephant in your room, and it’s better to coordinate with the elephant’s strength than to try to sweep him under a rug. Jewish leaders, even when they are at their most extreme, are respected by the American government and the Black community. Black public figures deserve the same respect. I cannot speak for Minister Farrakhan, but I highly doubt that there is any member of ADL leadership who would not be invited into his home for dinner and be treated with complete respect. The truth can set us free, but it also indicts those who’ve sought to protect a lie. 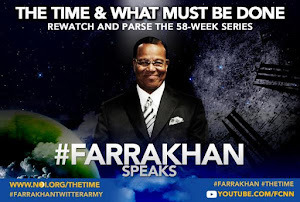 It’s time to either start telling the truth about Farrakhan, or allow him to speak for himself. You can’t call a man anti-Semitic for 30 years without at least hearing what he has to say. Such behavior is deeply disturbing, counter-productive and perhaps even fraudulent. It’s time for bridges to be built and for seasons to change. It’s also time to start telling the TRUTH about Farrakhan. Dr. Boyce Watkins is a Finance Ph.D., and founder of The Black Economic Empowerment Tour, designed to share ideas on Economic Empowerment throughout the world. To learn more, please visit BoyceWatkins.com. 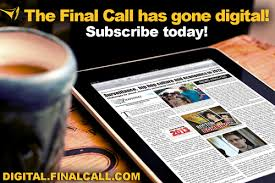 This column was originally published on http://financialjuneteenth.com. In line with the proverbial raindrop causing the dam to burst, the August 9, 2014 killing of Michael Brown Jr, in Ferguson, Missouri, both preceded and followed by several unarmed Black men and women being shot down in the streets by American law enforcement, has awakened yet another generation of young people to consciousness, activism and an uncompromising drive to see real change. 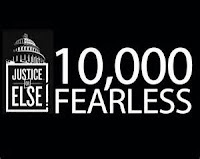 Throughout American history, every generation, since the days of chattel enslavement, through the Civil Rights and Black Power Eras, has experienced a series of injustices that not only increased dissatisfaction over the slowness of the redress of grievances, but also toward those, who in too many cases were coopted out of fear, limited options or movement fatigue. Compromising with their oppressors, who in time bought their silence, older generations failed younger generations by resting upon their laurels and buying into a system that at its root would never countenance an empowered, self-respecting and independent Black populace. Understanding the science of euphemisms and hyperbole in language, as the post-Civil Rights Era of the late 1970s gave way to the reemergence of Black consciousness through Hip-Hop and Rap music in the mid-1980s and early 1990s, regarding Black America, the rhetoric of the political Right continued to exhibit indifference, if not hostility, while the Left practiced a feigned friendship promoting an “illusion of inclusion,” lulling many, particularly in the Black middle class, into a non-productive slumber. Nevertheless, on both college campuses and on the streets, the rise of Black youth into a pro-Black mindset, while simultaneously facing the derailing effects of the crack cocaine epidemic, justified America’s political Left and Right in labeling and attempting to manage the destiny of Black America. Warranted as necessary not only by the demographic shifts leading to Black majority cities, as predicted in the 1968 Kerner Commission report, but also in the name of the War on Drugs, as called for by the Nixon administration shortly thereafter, an undeclared “war on Black youth” initiated code phrases by the 1980s such as “unqualified Affirmative-Action recipients,” “welfare queens,” “gang members” and “super predators.” Unleashing a full spectrum assault on the personhood of the descendants of African slaves in the United States, the policies that followed targeted not only unemployed Black men and single Black mothers, but also Black students, Black professionals and even Black children. On February, 24, 2016, during a closed door presidential campaign fundraiser for Hillary Clinton in Charleston, South Carolina, student activist, Ashley Williams, 23, a graduate student from the University of North Carolina Charlotte, and member of the Black Lives Matter movement, publicly pressed Mrs. Clinton for an explanation over her labeling Black youth as violent predators that must be controlled. Criticizing a 1996 speech in which the then First Lady of the United States, Hillary Clinton, said Black youth were “not just gangs of kids anymore, they are often the kinds of kids that are called super predators, no conscious, no empathy; we can talk about why they ended up that way, but first we have to bring them to heel,” was a statement and position that gave great insight into the two-faced nature of those claiming friendship and alliance with the Black community. An advocate for the Democrat sponsored Violent Crime Control and Law Enforcement Act of 1994, originally written by Sen. Joe Biden (D) Maryland, sponsored by Rep. Jack Brooks (D) Texas, and signed into law by the president, Mrs. Clinton’s enthusiastic support for a law that led to the elimination of inmate education programs, expanded the definition and likelihood of felony indictments and convictions for lesser crimes, which led to the mass incarceration of primarily Black youth, and ushered in mandatory minimum sentencing guidelines taking away judicial discretion, was not only a cynical attack upon an entire community, but also a cruel piece of legislation that handicapped an entire generation. In addition to aiding the implementation of the three strikes provision, which led to mandatory life sentences, regardless of the severity of an offense, the climate of unemployment, poverty and underground economies, coupled with Hollywood images of the “savage Black male,” this position of the white establishment fed the narrative that both Democrats and Republicans exploited to further marginalize and dismiss Black communities across the country. After 22 years from the passage of the Crime Bill, the criminalization of the Black youth image, and the militarization of American police forces, young people are neither satisfied with the “wait on Jesus” programs preached by those sent to pacify their dissatisfaction, nor with the crumbs offered by philanthropic organizations claiming to serve their needs and the promises of political leaders who have failed an entire generation. Furthermore, the new crop of young Black leadership emerging in opposition to the business as usual paradigm that has defined their reality for the last 20 years, comes not from an attempt to indoctrinate their thinking through the social, educational and guided cultural norms of public and private policy, but in spite of them. “I think my family environment was inconsistent with who I know myself to be right now,” said Ashley Williams, who grew up in Fayetteville, NC, the daughter of two retired US Army soldiers from nearby Ft. Bragg. “Growing up in Fayetteville and growing up here in Charlotte, I have seen the effects of mass incarceration, I’ve seen the effects of white supremacist academies trying to control what people think and who people know themselves to be, she said in a recent telephone interview. Regarding her nationally televised exchange with Hillary Clinton, Ms. Williams said that her motivation to do so, which forced the Democratic frontrunner to acknowledge publically an affront to Black youth and to subsequently backtrack her statement regarding their plight, was based not only upon Williams’ desire to give voice to the voiceless, but also to address the deafening silence among the established Black leadership class who gave Mrs. Clinton their unqualified backing during the South Carolina primaries. As the 2016 Presidential Elections approach, a new generation of young and fearless Black leadership is rising across the country and demanding real change. These young men and women, rejecting tokenism, promises of nearness to power and the emptiness of go-along-to-get-along capitulation, are leading the way. Through the pincer of both the Black Lives Matter and the Justice or Else Movements, the future, “which is all about youth,” is enveloping an old way that is going out through the sacrifices of those who see a cause bigger than themselves. The only question that remains is who else is willing to sacrifice for the greater good of the people and who else is willing to join the companies of those who strive as help and victory comes?